We’ve been playing loud & fast ska-punk since 1998. The Taj Motel Trio has served their brand of feverishly loud & fast ska-punk for 20 years. And while commercial success has evaded them (and every other ska-punk band since the late 90’s), they’ve brought their infectious energy and catchy horn lines to basements and dive bars up and down the east coast. While every show is fun, not every show has been on a small stage. Taj, as they are affectionately known, has performed a number of large venue shows, performing at the Vans Warped Tour and opening for Bon Jovi in Atlanta at Infinite Energy Arena (thanks to winning a Top 40 radio station cover song contest; take that major label snobs!). 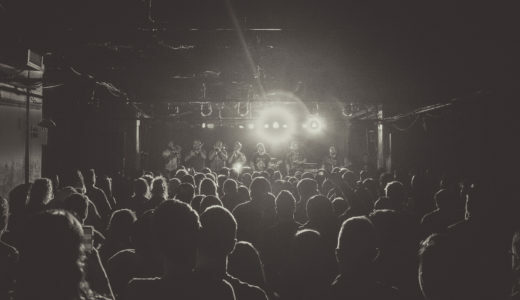 The band has also performed with a number of ska and punk legends including Big D and the Kids Table, Catch 22, Edna’s Goldfish, Five Iron Frenzy, Less Than Jake, Mustard Plug, The Pietasters, The Planet Smashers, Reel Big Fish, The Toasters and many more. The band’s latest release, “4 Songs, 7 Inches” EP, has received rave reviews from DyingScene.com, Bob’s Ska Radio and The Punk Site. Now, the question is, when’s the next album? The band is now working frantically to finish what will be the band’s 7th release and 4th full album. For more information or marketing for the band, contact Nick Kastner (tajmonick@gmail.com).